Just to make sure, no vehicles from books, board, video or miniature games are allowed? More photos at the gallery here. Updated with better windscreens, red stripe, new pilot(s), flick-fire missiles, and new central engine strut. Last edited by jp-30 on Sat May 13, 2017 6:01 pm, edited 3 times in total. Shadowclaw wrote: Vader's TIE from the Death Star wasnt really a microfighter though, was it? the cockpit was fully enclosed, unlike MicroFighters. That's a very good point. Looking at it again it doesn't fit the requirements for a microfighter, so it's fair game. Also, You need to reread the submission rules and edit your posts please. You're allowed one submission for each category and only one photo per submission. crazybirdman wrote: Just to make sure, no vehicles from books, board, video or miniature games are allowed? That ship (or one so close to it that it's might as well be the same) has been made though, just without Vader piloting. Edit: removed non contest image of the Prototype TIE Advanced microfighter. Last edited by jp-30 on Fri May 12, 2017 8:02 pm, edited 1 time in total. Do the micro fighters have to have stud shooters or flick fire missiles incorporated in them? jp-30 wrote: That ship (or one so close to it that it's might as well be the same) has been made though, just without Vader piloting. Nope. 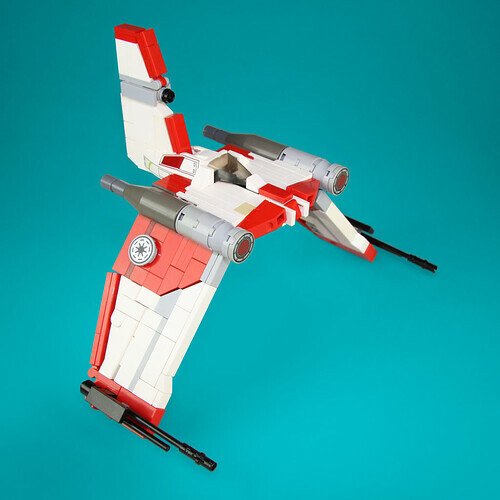 That one predates Vader's TIE Advance and is distinct in design (it's stubbier and has rounder wings, even if they translate poorly to Lego form). Vader's X1 is still an option. banthafodder wrote: Do the micro fighters have to have stud shooters or flick fire missiles incorporated in them? Nope. It's encouraged but not required. Odd question but wouldn't the Droids cartoon from the 80's and the Ewok movie still count as cannon for this contest? "Mainline" was the key there. The eight films, Rebels, and Clone Wars. 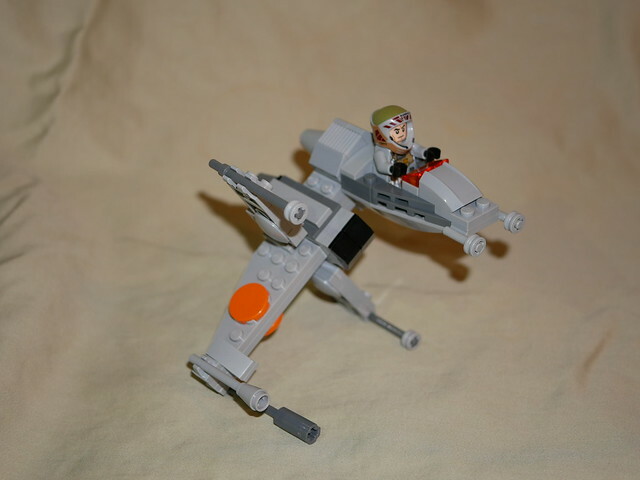 Sooooo, I said I would not enter, but I was bored, so I decided to try to put together a microfighter B-wing. I've been reviewing the Microfighter line as I put together my own ideas. 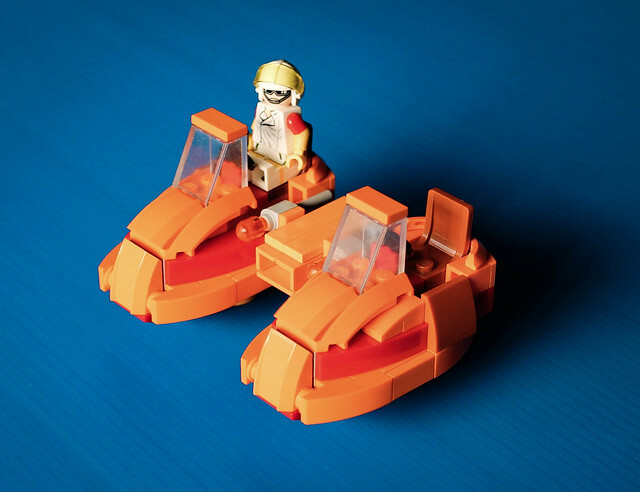 Looks like they run around 100 pieces, and about 10 studs in whichever is the longest dimension. They're definitely not consistent in scale (compare the Falcon with the Destroyer, for example). Some of them are close to being scale models on their own (the Falcon isn't particularly chibi), but most have exaggerated proportions--giant engines, stubby wings, etc. 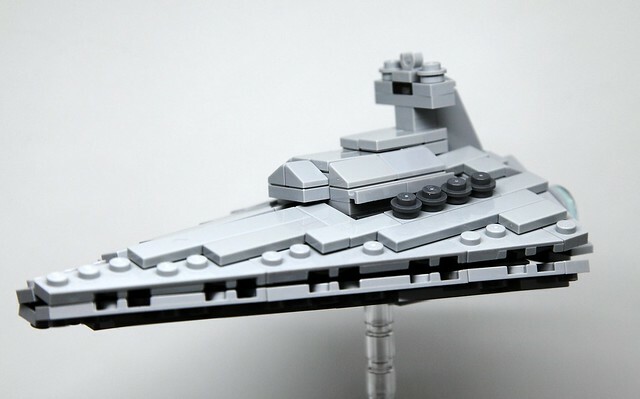 Here's an easy way to view all of them: https://brickset.com/sets/theme-Star-Wa ... roFighters Hope the extra info is helpful. Good luck! EDIT: Just noticed this link does not include the Comic-Con exclusives mentioned by others, but someone else already posted a link for those. MCoad wrote: I've been reviewing the Microfighter line as I put together my own ideas. Looks like they run around 100 pieces, and about 10 studs in whichever is the longest dimension. They're definitely not consistent in scale (compare the Falcon with the Destroyer, for example). Some of them are close to being scale models on their own (the Falcon isn't particularly chibi), but most have exaggerated proportions--giant engines, stubby wings, etc. 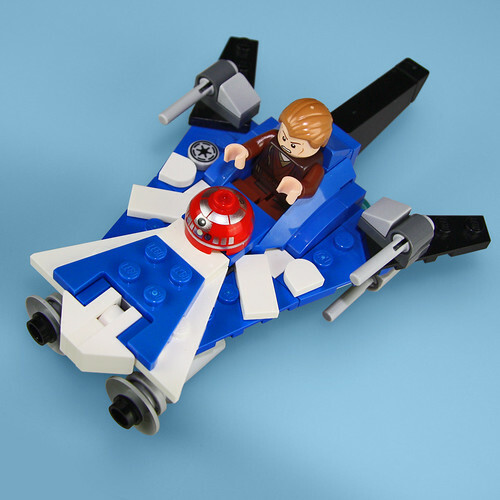 Here's an easy way to view all of them: https://brickset.com/sets/theme-Star-Wa ... roFighters Hope the extra info is helpful. Good luck! For the most part I've found that all have the figure 2-4 times the size of the cockpit within the exception of the Star Destroyer and that every model fits nicely on your hand! The most common thing I've noticed in scale is that all the microfighters not including the comic-cons microfighters are no bigger than 4 inches wide by 4 inches long. Though I'm sure we can build whatever size we want as long as it looks like it'd fit in the genre. Now I have to build some midi-scale vehicle... Good luck everyone! 1 does the Pilot have to be specifically Movie/TV Cannon? I threw together a pretty good Ceina Ree from the book Lost Stars since she is posted to the Executor for in the book it makes sense. 2 SSD's are long and skinny and I'm, like Miro 78 above, could be at the border of Microfighter and Midi scale. Is the line what the Mod's point at and say Yes/No or can we get a bit more concrete ruling? Thanks Great Idea for a contest. 1. That's fine. To reiterate, as long as the pilot makes sense for the vehicle then you can switch it up. 2. Use your best judgment and look to the official sets for guidance. We're not setting a concrete rule for either category, and we're not going to disqualify anyone unless they're flagrantly ignoring the intent of the contest. Ultimately the polls will decide your fate. 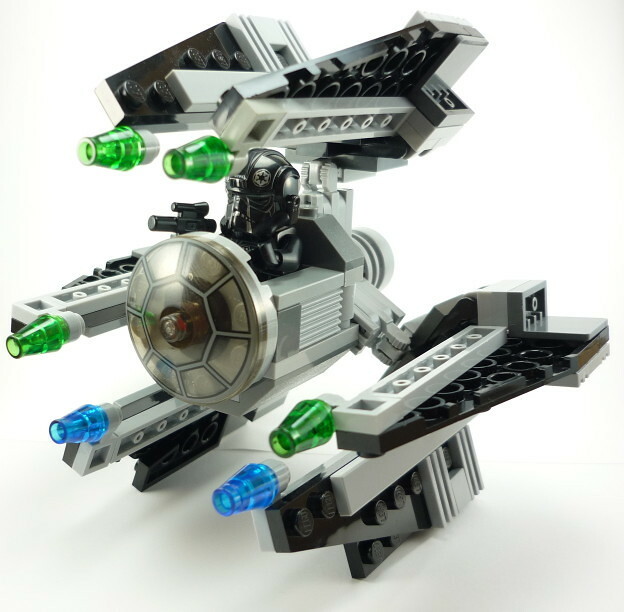 A midi TIE Fighter. Let me know if you've got any issues with it. Thanks for the clarification that makes sense. ...and here is my second entry. Can't wait to see more from you guys! Tie Defender, my favorite Tie. 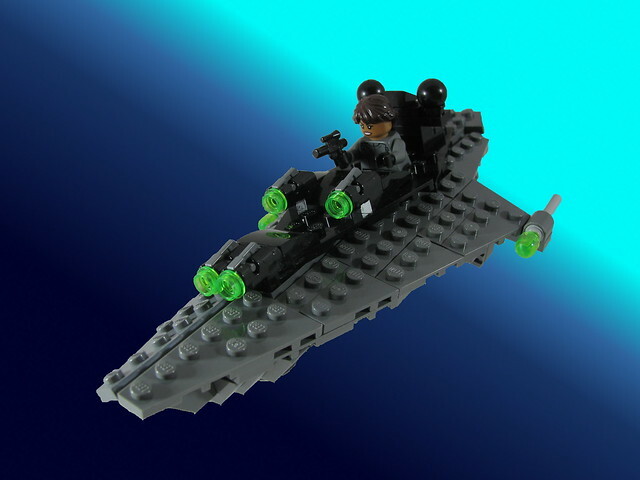 Microfighter Super Star Destroyer Executor piloted by Ciena Ree from Lost Stars. All 13 engines are in the back check the rest of the photo stream for other views. Last edited by Trooper10 on Thu May 18, 2017 7:19 am, edited 2 times in total.